Trans Green Logistics | The syntax of success! 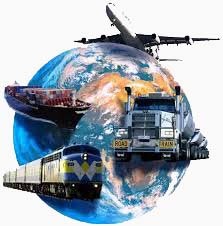 As a transportation intermediary and a freight forwarder, Trans Green Logistics offers its customers flexible service options for ocean and airfreight transportation. Trans Green Logistics offer organizations globally cutting edge solutions in freight, logistics and total cargo management. Trans Green Logistics also offer organizations a wealth of knowledge in the best practices to be undertaken in order to maximize cargo management while minimizing cost and gives the customer a competitive advantages. TRANS GREEN LOGISTICS continues to expand its logistic activities in other parts of world and stretched its wings through mergers, affiliations and cooperation with foreign associates and its agents worldwide, so that the customers at national and international levels gain all the benefit of services, cost effective rates, efficiency and accurate information. When you are in freight business and especially dealing fashion logistics the Air Freight has become increasingly important though we access this need and if there is no other option available then we need to respond with movements by air.